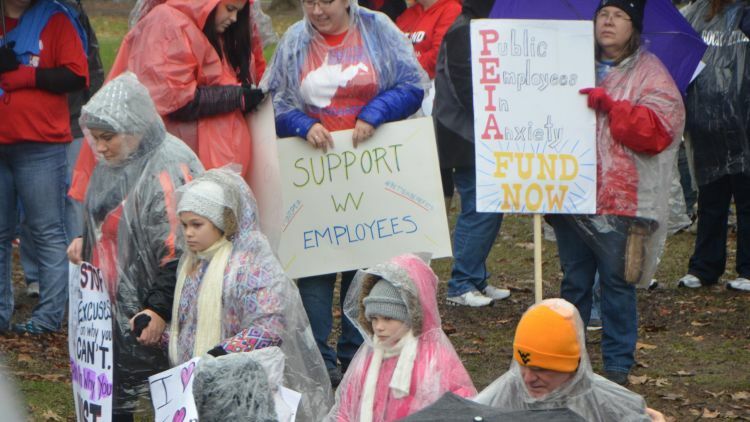 The WV teachers&apos; strike began February 23, 2018, and lasted until March 7, 2018. It involved about 20,000 teachers and other education workers, and resulted in a shutdown of schools in all 55 state counties. 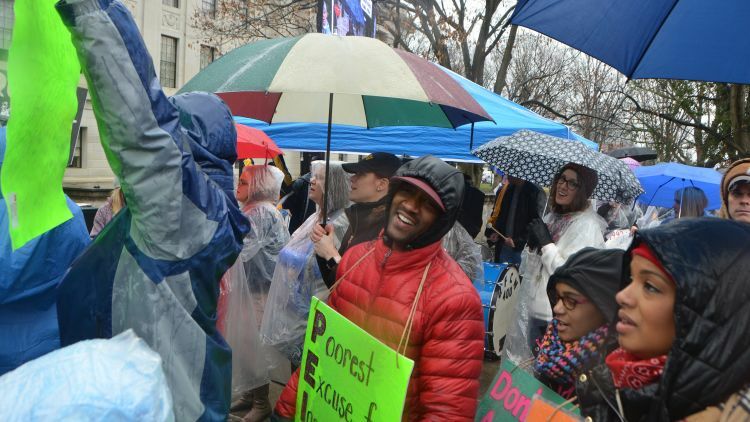 The media focused on the issues of low pay and high costs, but there were other key demands: rejecting the expansion of charter schools, refusing to accept elimination of seniority, and scuttling a bill aimed at taking away unions’ right to automatic payroll deduction and collection of dues. 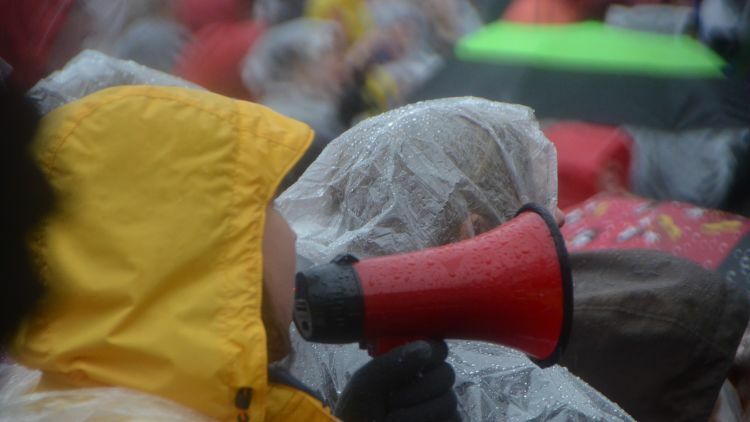 Despite the political pounding the teachers were subjected to, the public rallied behind the strikers, and support from across the country poured in (as labour activists north of the border also watched in interest). 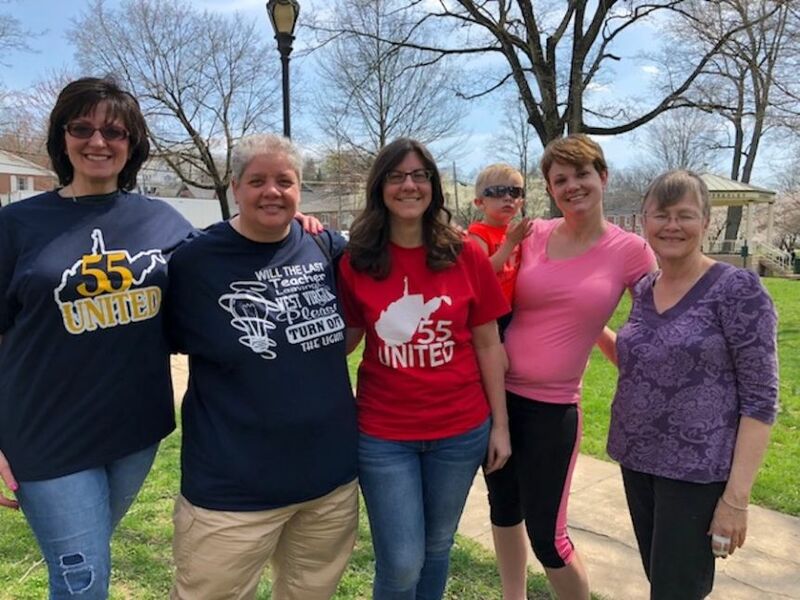 And the solidarity was powerful; the union won on all five key stances, a remarkable achievement particularly given the public perception of West Virginia as deeply Republican (and, by extension, anti-labour). 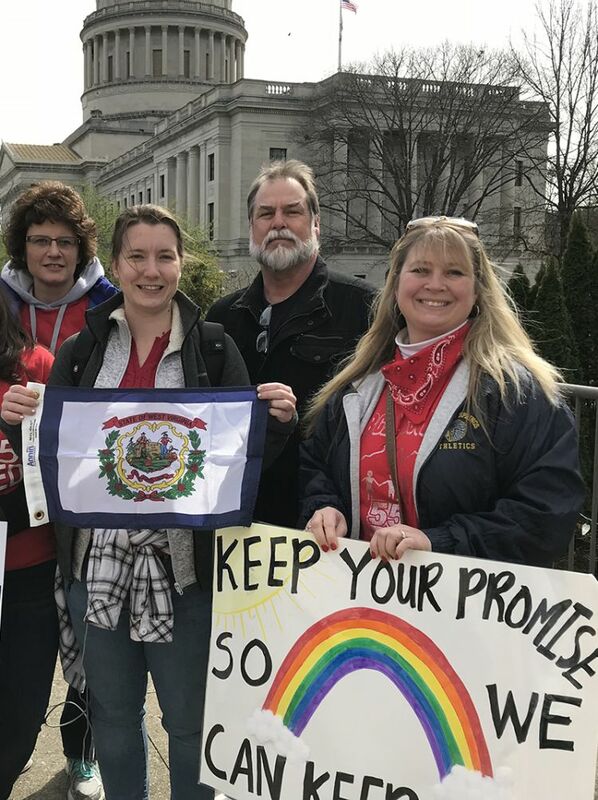 In the following commentaries, educators and community members from Morgan County, West Virginia, talk about their experiences in the classroom and on the picket line. They discuss what made them take this action, how their political awareness changed throughout the process, and what they learned. These are lessons in solidarity, community building, and civic activism that hold true across sectors and jurisdictions, from which we can all benefit. Special thanks to Dale Wurster (part time music and art teacher), Donna Meyer (teacher), Casey Munson (kindergarten teacher), Kim Khuen (bus driver), Summer McClintock (parent and elementary school teacher) and Kim Weaver (custodian) for being so generous with their time, reflections, and photography skills. And my eternal gratitude to Angela Petry for coordinating and conducting these interviews and helping to bring these important experiences to our readers. 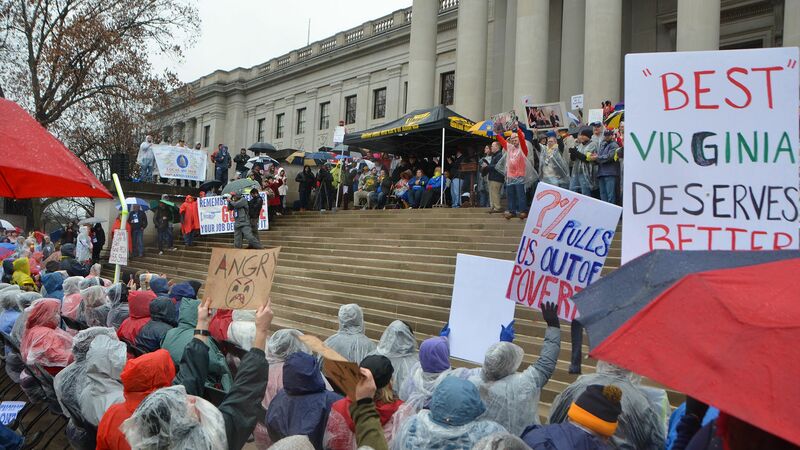 The 2018 work stoppage involved many of Angela’s friends and acquaintances and she was strongly supportive: "West Virginians showed real leadership and initiative by staging this massive and peaceful work stoppage that was subsequently emulated by other states. I&apos;m very proud of all who took part." When the first opportunity came to vote about whether or not our school would participate in the West Virginia teachers’ strike, most of the teachers at Pleasant View Elementary voted to opt out. They were concerned it might hurt the public perspective on voting to support our local levy which funds school supplies, salaries, etc. As a part time teacher (library and art) I decided I would support whatever decision the rest of the staff made. 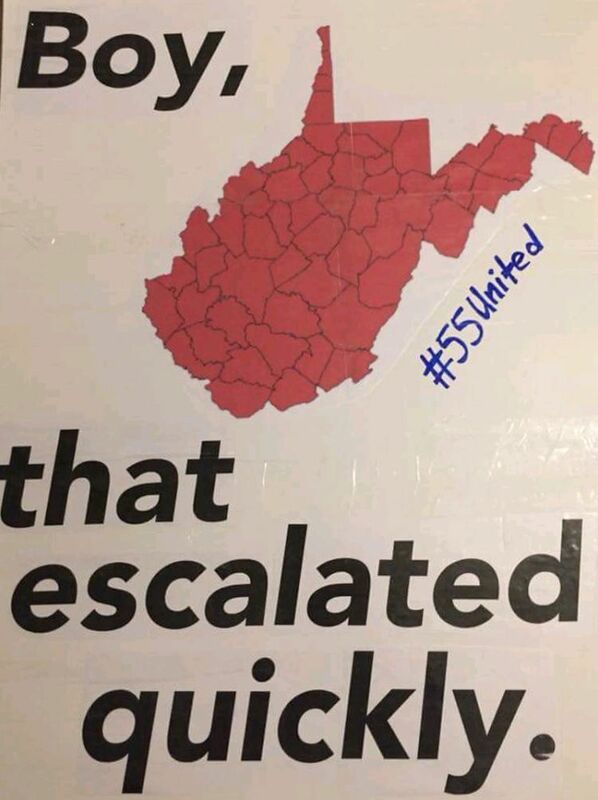 Later on, when it looked like most of the 55 counties in WV were leaning towards striking, our teachers decided to join the group; hence the slogan #55 United! 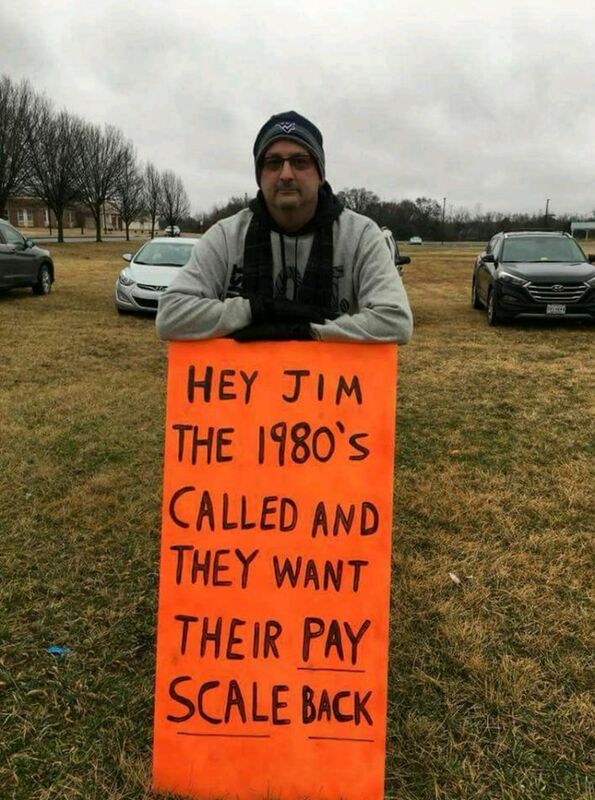 I had been part of the strike in the 1990’s. That was not a state-wide strike and our county only participated for five days. Wages were docked for those who did not show up to work. I had joined the picket line but the strike was over before I had to decide if I wanted to risk my wages. So, having been through it before I was not afraid of striking this time. There was really no personal benefit to me in joining the strike. I was planning to retire at the end of the year but had not yet told my fellow staff members. I would not see the raise increase and I already didn’t qualify for health insurance because I only teach two days a week. However, our school is very small—six classroom teachers plus aides, cooks, secretary, custodian plus part time music, PE, art, etc. I felt having an extra body on the line would help. "Everyone was committed to the strike by the time it ended and would’ve stayed out as many days as it took to get a result." 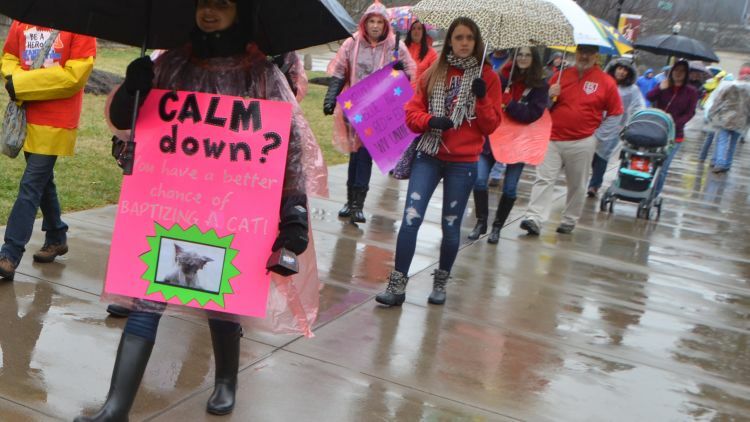 Many of the teachers were reluctant to strike in the first place. It was against their teaching contract. What would the families think? Would students understand why school was closed? Would we be criticized that kids were missing breakfast and lunch during the work stoppage? Anticipating and understanding the trepidation of new teachers was part of our long-term strategy. Retired teachers who had been in the first strike in the 1990’s and mentored those who participated this year stressed that we not harbor ill feelings towards those who chose not to participate in the work stoppage because we’d all have to work together when it was over. We wanted to have a good presence in our rural community, picketing along the side of the road, waving signs as parents and students drove by. On a good day we had 12-15 people there. 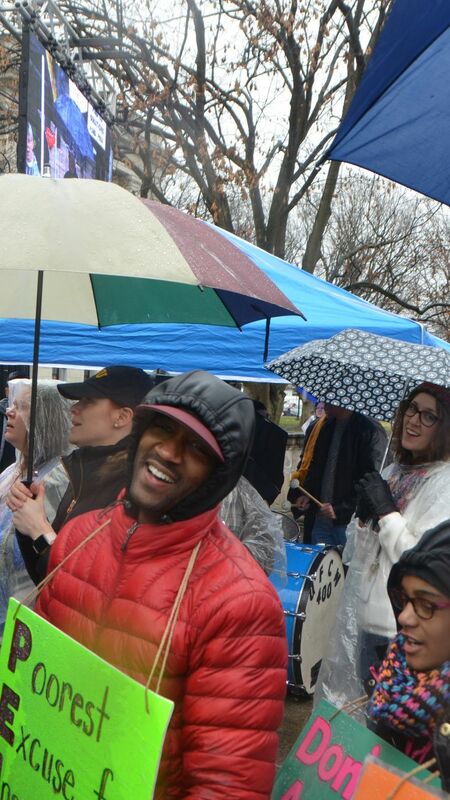 So I stood in the cold holding signs and waving at the passing cars for the four days I would’ve taught during the work stoppage. We wanted the local community members to see that the strike was important enough for us to stand in the cold from 8:00-3:00 every day. 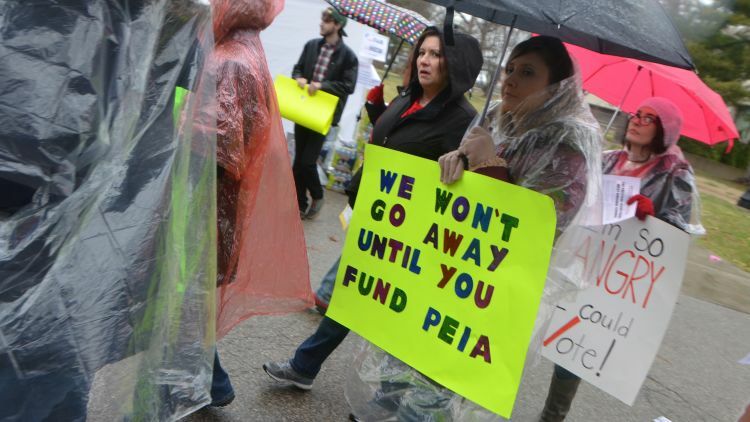 Pleasant View Teachers were not using this time to take a break or go shopping—we were out there every day—rain, shine, snow and strong wind! We also used this time to get to know each other better as there is little time during the school day to even have a casual chat. Teachers called in their absences the evening before each day of the strike after conferring with the local union reps. The superintendent, who obviously supported us, cancelled school each day "for safety reasons and not enough staff to supervise or bus the students”. So technically we had a “work stoppage” and not a walk-out. We never lost a day&apos;s pay, but we do have to make up all the days of the strike at the end of the school year. Most of the passing cars and trucks gave a honk in support or a thumbs-up and a smile. People stopped and gave us food and hot drinks. 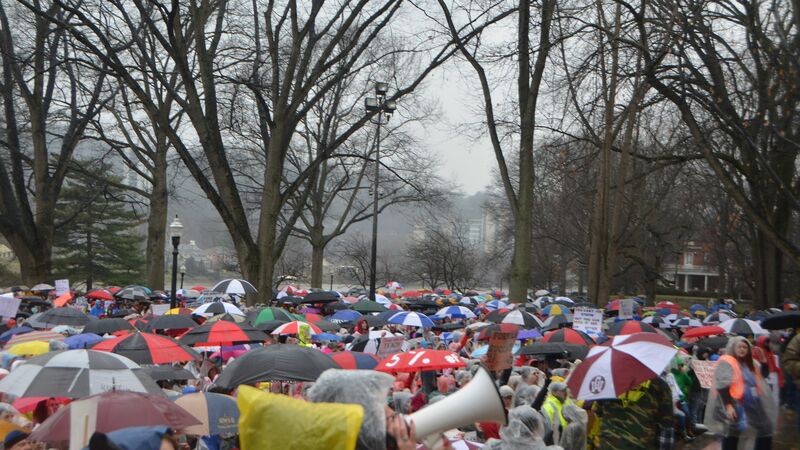 Some of the staff took four hour trips to Charleston to join the thousands protesting at the capital. On their return they were more committed than ever that the reasons for the strike were valid and that the legislators needed to make good on their promises. Everyone was committed to the strike by the time it ended and would’ve stayed out as many days as it took to get a result. 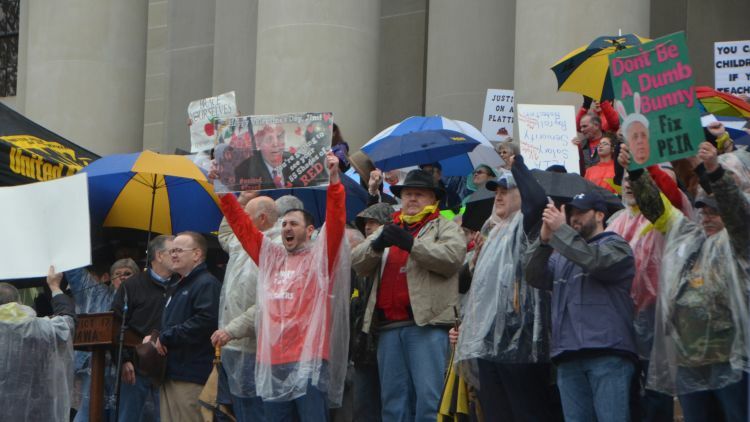 The nine-day strike was a momentous and meaningful event. Teachers are used to collaborating, cooperating, compromising and doing what they’re told for fear of a poor evaluation. Many stood up for themselves for the first time and said Enough! It was definitely worth it. The teachers feel empowered now. And the teachers at my school are much more confident and less afraid of speaking up. I’m so proud of them! 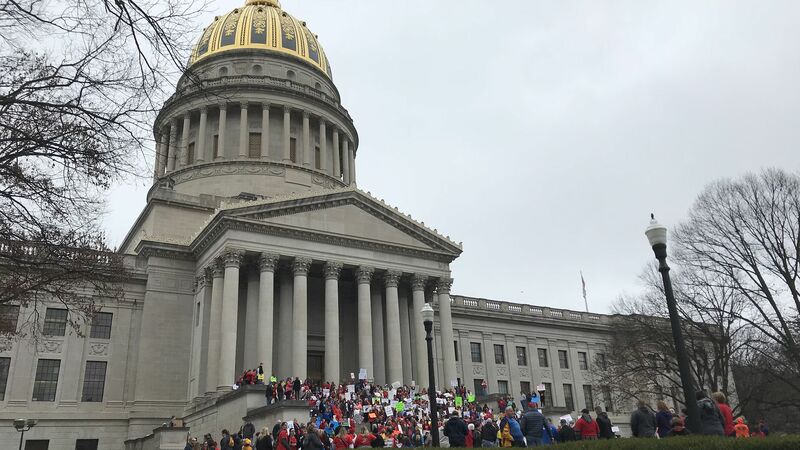 The following is an edited transcript of an interview between Kim Weaver, custodian at Widmyer Elementary School, and Angela Petry, both residents of Morgan County, West Virginia. Press the play buttons to listen to the interview. Would you consider yourself a labour activist or a community activist, or political activist? I thought about that question quite a while and I really don’t know how to describe myself. I know that I felt this was the right thing to do, to finally stand up and have a voice, even if it was just carrying a sign. So I don’t know what that makes me. I know that I learned a lot from this, that I was very guilty as a lot of other people are not really thinking about who I was going to vote for…I’m hoping from here on out that I really do my homework before I vote. What made you get involved in the strike? I felt that it was time. A lot of the teachers have put a lot of years in, a lot of their time in, they’re not getting paid properly, nor are service personnel. I am a first year employee but I still feel that because of the stories that I heard they do deserve more money. And with the health care issue that’s going on in this country and the prices going up, pretty soon the tables are going to turn and we would actually be paying them [for us] to go to work. It’s not just about the teachers, it’s about the …body as a whole at the school. You can&apos;t have one person without the other. You&apos;re not going to have a smoothly run system if you don’t have everybody working together. And you can’t work together if you’re not satisfied. This was technically not a strike; it was a work stoppage. We were very fortunate and the superintendents for most of the counties were behind the staff...We didn’t have the personnel to go to work to properly teach the kids, to properly feed the kids, to be able to get the kids to school. Not anybody can be a bus driver. [Breakfast and lunch is a federal mandate]…you can’t just have anybody going into the kitchens, you have to have a food handlers’ card, meet certain standards, you have to know...all the allergies. Because we were lax in having the correct number of employees I think that&apos;s why they classified it as a work stoppage. It had to start with the bus drivers. They tried to get the bus drivers to go in and they were, like: no. Once you get the bus drivers on board…then you have to figure out can we get enough subs in for the kitchen staff...but then you can only have so many students to one person. So the whole system kind of broke down because we just didn&apos;t have enough. So the [superintendents] had no choice but to say "we&apos;re closing schools" and then they just added those days to the end of the year as if they were snow days or weather days. As far as memorable—it was fantastic that we all came together as a team, every job...the whole system coming together and standing for one thing....The takeaway from it is that it does work if you stand together, and I was very proud to be a West Virginian because we all stood together for the same cause....I learned a lot about politics, whether I wanted to or not, but I did. I was absolutely appalled at some of the live [streamed] meetings I watched...they weren&apos;t even paying attention.... So that made me think even a little bit more about how I need to do my homework before I actually vote for these people. I was also kind of taken aback at how education is on the back burner. I thought education was on the front. No. It’s not….and it should not be there. These are kids that are going to be leading us one day. How are they going to learn if we have no education for them to learn from? If we don&apos;t have good teachers, if we don&apos;t have good support, what are they going to get? They&apos;re going to get nothing. And if these senators, and representatives and the politicians aren&apos;t for education, then where are [students] going to get it from? What’s on the front burner? Ways to make money, pharmaceutical companies, gas companies…things like that, that actually make money. Education really doesn&apos;t make a lot of money. Education is there to help people in the future to be able make money. But if you don&apos;t you don&apos;t put these kids, if you don&apos;t put their minds to what they can think and learn and explore, then how are we ever going to have anything other than what we&apos;re stuck in right now? Is there anything else you learned from your experience? People need to really do their homework before they vote –it’s not just going in eeney meeney miney moe. You need to really do your homework. And for whatever you think is right, you need to check politicians’ platforms to see if that is in the forefront of what they stand for….I’m avoiding [personal conversations with the] politicians I know because I probably honestly won’t be voting for them anymore...I expected more from them, and we didn’t get it. When the idea of the strike first came around I was completely against it. How could anyone who loved to teach willingly walk out on their students – on kids? I just couldn’t even fathom it. Before the strike, I was clueless about politics. I had no desire to listen to politicians argue back and forth over trivial matters. Then I started educating myself. I started listening to colleagues and doing some research. I was looking up my representatives and watching videos of their speeches. With each passing day before the strike I became more and more aware of what was happening in my government and how it was currently affecting me and would continue to in the years to come. I was outraged by what I had learned. 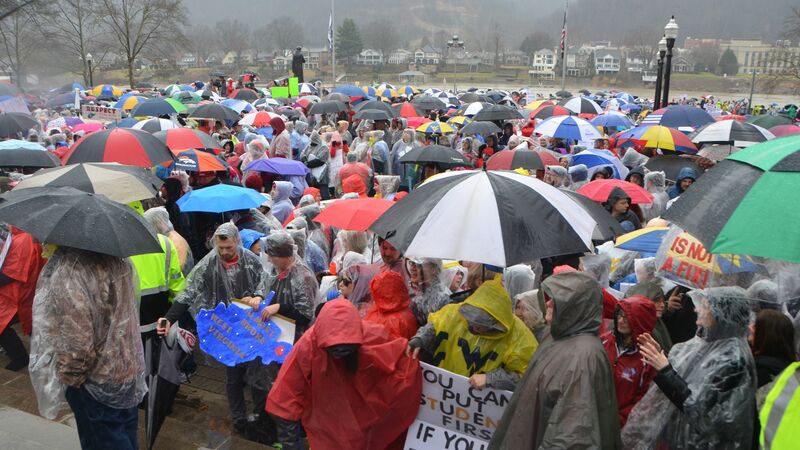 The media was looking at the salary raise, but teachers across West Virginia were looking at our threatened seniority, lower criteria for upcoming teachers that would place unqualified persons in classrooms, skyrocketing insurance costs, and so many more issues that were being ignored. Still, with all this new knowledge I was not ready to strike. I couldn’t leave my 23 kindergarteners. What would they think? Would they worry that I didn’t care about them? A few days before the strike I left the school, two hours after my pay had stopped for the day, picked my son up from the babysitter’s and headed home. I stopped on the way to get the mail and my box was full of Amazon packages that were meant for my classroom prize box. Almost $50 worth of goodies I had spent on other people’s children instead of my own. That’s when it hit me. Teachers hadn’t gotten a raise in almost 30 years and I, a single mother, was working overtime for “free” and spending a healthy chunk of my salary on my work. Who else does that? "I wanted to make my son proud. I wanted to fight for our future." If my insurance costs went up and I was not given a raise, how much longer would be able to afford to take care of my kids? Of my own child? Would I be able to afford the supplies I needed to create an enriching and engaging classroom, and give my own son the life he deserved? Would I have to chose between my students and my son? If they took away my seniority, I wouldn’t be guaranteed my job; therefore, a new level of uncertainty entered my life. I had worked hard to be able to return to the classroom that I once entered as a kindergartener 23 years ago. I wanted to spend my career in that classroom, teaching the next generation of Morgan County. I wanted to continue the legacy of the teachers whose classrooms I had once attended. Without change, none of those things would be possible. Without taking action, my future would continue to become more and more uncertain. I thought of my son. In 20-30 years when they talked about the teacher strike of 2018, what would my story be? 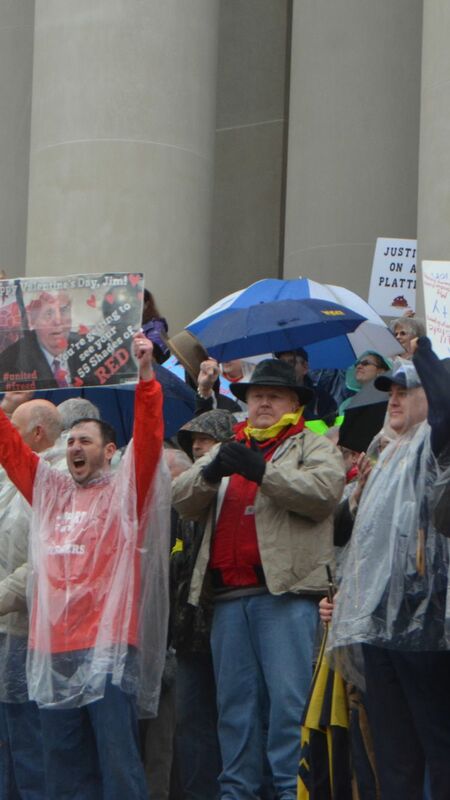 Would I say I had stood on the front lines with my colleagues from around the state or would I say I let others fight for me? I wanted to make my son proud. I wanted to fight for our future. That decision started another wave of uncertainty. How long would I be on strike? What would I do if I lost my job? How would I take care of my child with no child care and no insurance? It seemed I was doomed no matter what I chose. As I sat in the car while my son took a power nap, I pulled out my phone and called my mother, who has always supported me in every difficult decision. I told her that I had decided to take a stand and participate in the work stoppage. I cried and told her how scared I was about what the future would hold. How worried I was about what my students would think. She reassured me that I was doing what I had to do, and that if it came down to it, she would help me financially. So with that, I joined my colleagues in the work stoppage. 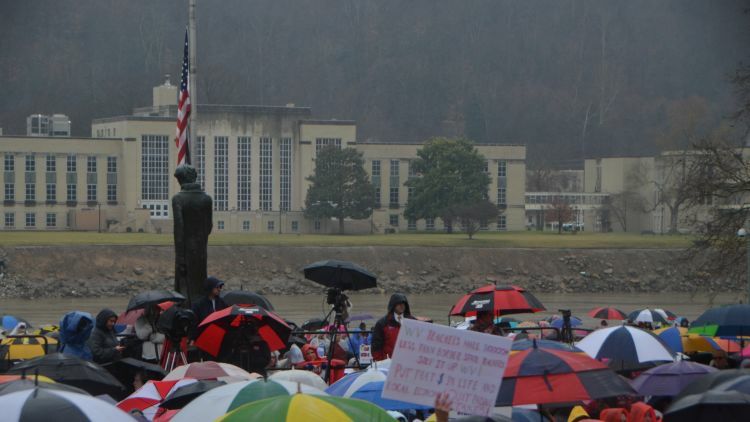 The first day I rode with some friends to Charleston and saw the strike in full force: teachers from across the state standing together cheering and chanting at the House and Senate doors for hours. We stopped to talk to our politicians and others to get first-hand information to share with coworkers back home. We spoke with other teachers and about how things were in their areas. "We jumped, screamed, laughed and cheered. Finally! We could go back to our classrooms and our students and our jobs. We could return to the profession we chose with our hearts after using our heads to fight for change." We got home around 11pm and we were all back at the school at 8am the next morning with our signs and coffee. That’s where we stood for the next eight days. 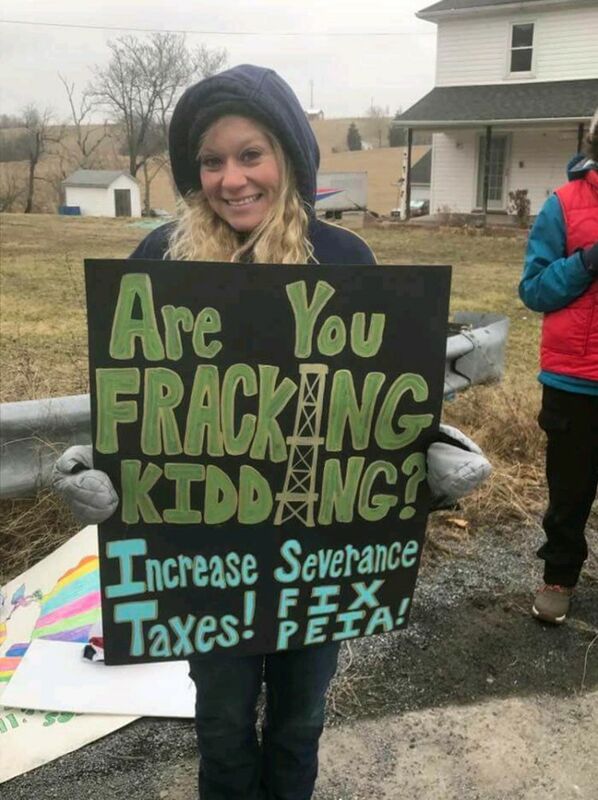 In the extreme cold, strong winds, rain and even snow, we stood on the side of a heavily traveled highway in hopes of honks and waves. It was inspiring. I was in the front row seat as the Governor came to Spring Mills to talk with teachers. I was there as he made rude and embarrassing comments and repeatedly told us to give up; as he told us there was no way we could get what we wanted, what we deserved. But we stood strong and united. 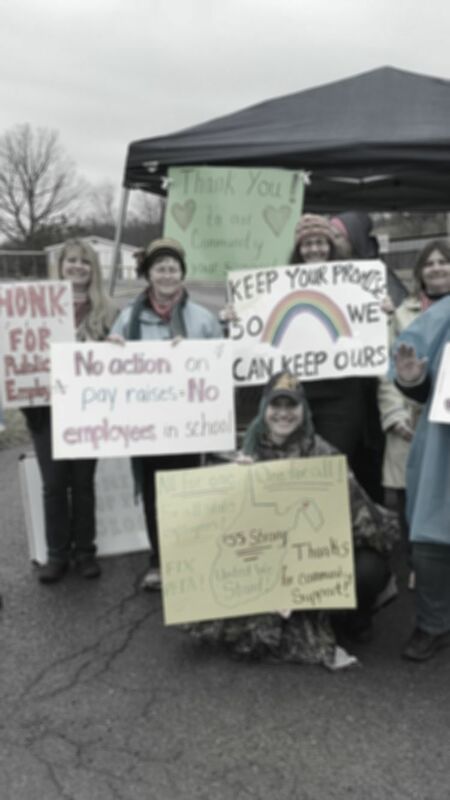 I will forever remember our small school staff, standing in the cold, huddled around a phone watching the politicians as they finally agreed to make the changes we had been fighting for. We jumped, screamed, laughed and cheered. Finally! We could go back to our classrooms and our students and our jobs. We could return to the profession we chose with our hearts after using our heads to fight for a change. Now we sit by the television and watch as state after state follows in our footsteps and begin their own fights. I am both a parent and a teacher in the education system so I am totally invested in making it successful. I never considered myself a labor or political activist prior to the work stoppage. I did, however, stay active in the community. I feel that the events surrounding the strike have molded me in a positive way. I now consider myself a more responsible citizen. It has made me more consciously aware to not take my right to vote for granted as I may have done in the past. It has also made me realize candidates who I’ve known for years and are a member of the community in which I live can be disappointing. We all have a duty! This is a government for the people by the people and it’s okay to stand out if the crowd even when frowned upon if it can bring about positive change! Initially I had not intended to join the strike. I struggled with the notion emotionally. I went into this profession to serve the children of my community understanding and accepting the idea I would be paid below what I deserved. 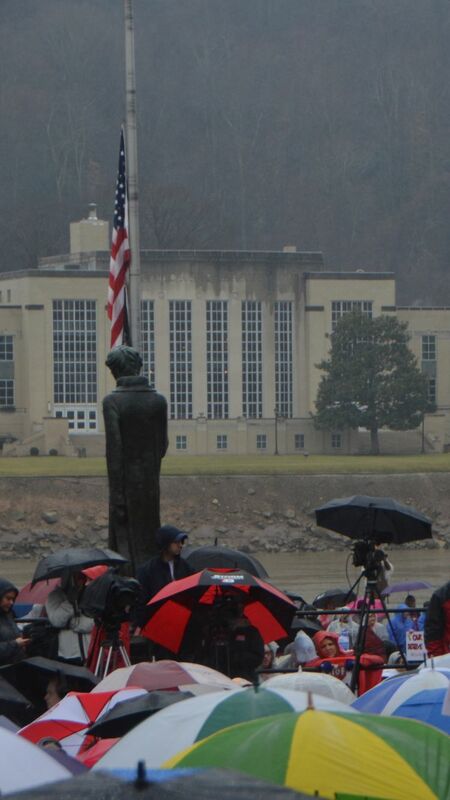 The students of Morgan County, West Virginia deserve highly qualified teachers as well. These were my children and my community. With those thoughts in mind I couldn’t bear to leave my students. I have two students who cry when I miss school and I kept thinking about them. "Still struggling while lying in bed I heard the words &apos;Be the change you want to see in the world.&apos;"
It was, however, those same thoughts that made me step up and say enough is enough as well. At home the night before I was thinking how we have over 700 vacancies within our state filled by unqualified teachers, but the answer is not to lower the qualifications required by those people to teach those students or my child. Despite what one may believe not just anyone can become a teacher. It is a gift instilled in select individuals and should not be taken lightly. I started thinking my students deserve better. My child deserves better. Despite the need for my students for me to be in the classroom and be the teacher at this moment I needed to be their advocate and teach them the most valuable lesson I ever could: a lesson not learned in a textbook. I needed to be their voice. "The strike empowered me to be more involved and not always worry about what others think." 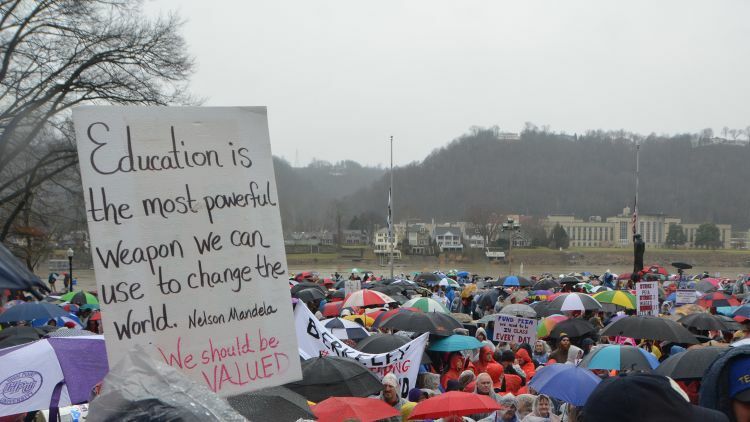 I never stopped teaching them even as I stood outside and held a sign or when I traveled to Charleston to speak with legislators emphasizing the importance of education. I taught them a lesson in government. Years from now I didn’t want my students when asked what their teacher did during the strike of 2018 to say: nothing! I had several feelings during the strike. Frustration with legislators who wouldn’t listen or show diligence in working to solve this injustice and community and family members who didn’t support or understand this stance. 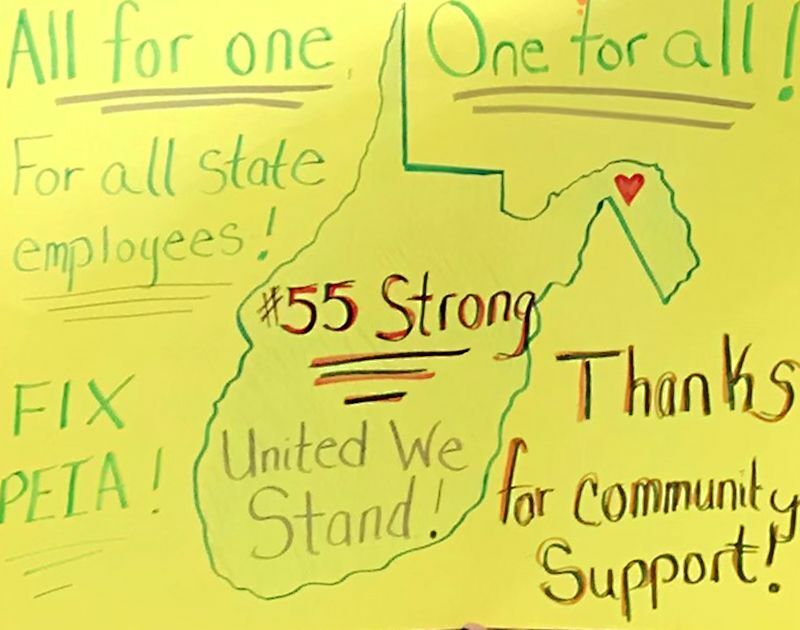 When the whole state was 55 United I felt inspired to continue and it served as confirmation to me that this was the right and best stance to take. 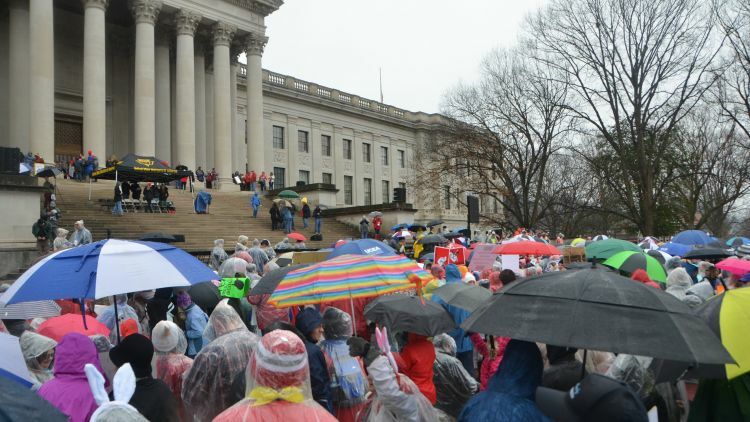 Memorable moments included arriving at the State Capitol and seeing thousands of teachers in solidarity for a common cause. 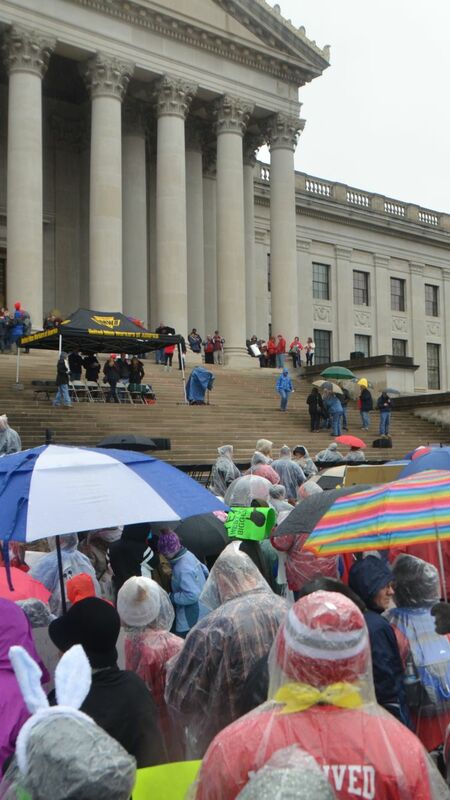 The chants, the signs, signing "Country Roads", and locking arms around the Capitol to pray were engraved in my memory. I’ll never forget stopping at McDonalds on the way down and having strangers say “don’t give up, we support you.” In the heart of WV I felt unified. I didn’t expect California to send hundreds of pizzas to us; strangers to bring bottles of water, chips, or even chocolate. Teachers love chocolate. 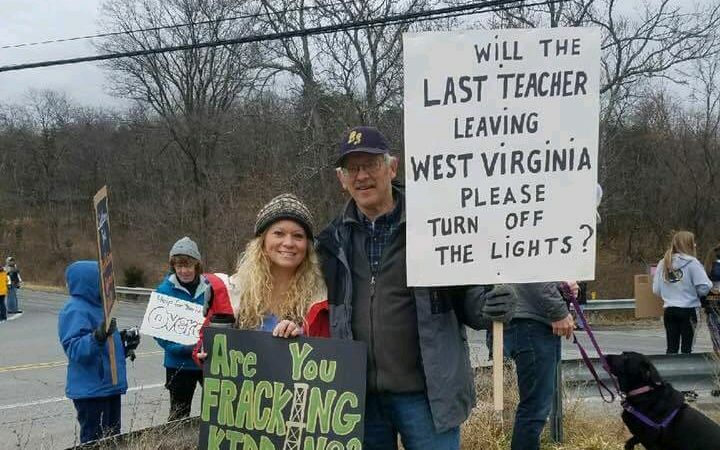 Or a retired teacher from NY to come and hold a sign at our side. That is what America is all about. The strike empowered me to be more involved and not always worry about what others think. It made me a more responsible citizen. I became more active leading a rally in front of people in our town park. I would have never been so outspoken before. The experience wasn’t easy. I’d much rather have been teaching and I missed my students. So often teachers put others above themselves and their profession is disrespected and not seen as that a profession. This was about them fighting for not really even what was deserved but what they needed. I also never expected it to be a nationwide movement and, yeah, to be the leaders of that. 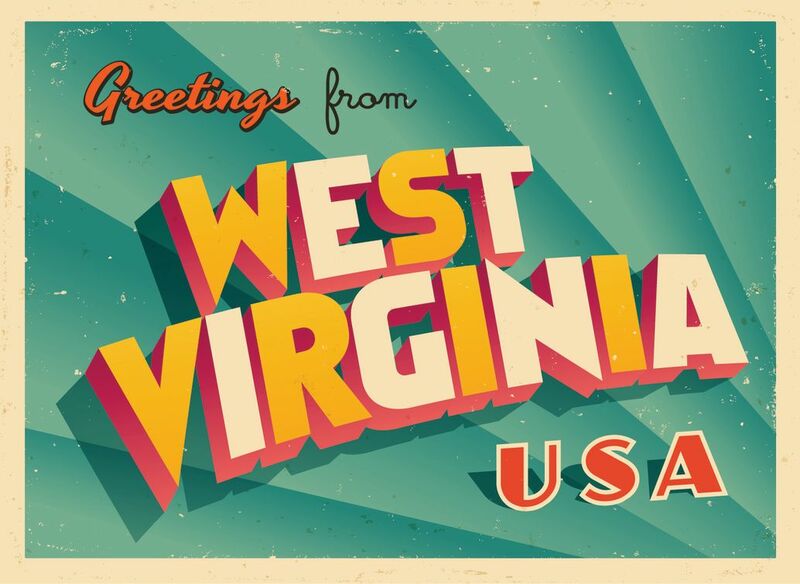 West Virginia isn’t last in everything! I have been an employee at Morgan County Schools in West Virginia for about 10 years. I drive a school bus and though I have taught in the classroom, I prefer the dynamic I have with the kids on the bus. I consider myself an unlicensed social worker on occasion and I enjoy teaching the kids social etiquette and life skills vs reading, writing and math. I love getting to know the whole family and having an impact on them for many years rather than only the one year a teacher often gets. We live in a world where technology has replaced authentic social experience and I often joke if it weren&apos;t for social media I&apos;d have no social life at all. But at heart I&apos;m an old soul and value human connection so the work stoppage for me was an amazing break from our modern world. It took me back to a time when people connected in powerful ways. The communication was strong and we felt unified. The camaraderie was visible, not only within our county but throughout the state and even outward to other states...our nation was awake...it felt alive! Here locally, we have a Facebook page called “The Voices of Morgan County” and it was very active during the stoppage. There was plenty of negativity: those who were worried about the kids being out of school, those who don&apos;t understand the perspective of working with kids day in and day out. The positive feedback, however, was amazing and far outweighed the negative. 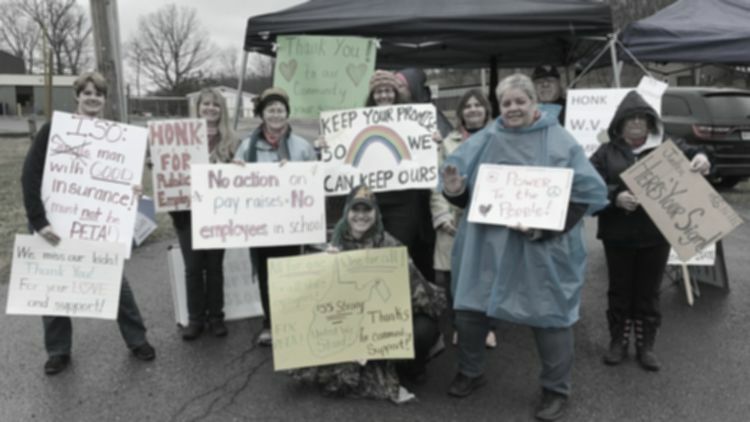 Employees, both those on the picket lines and those who chose to support from home, were inspiring in the sharing of information and exchange of ideas. The support and encouragement was unprecedented! 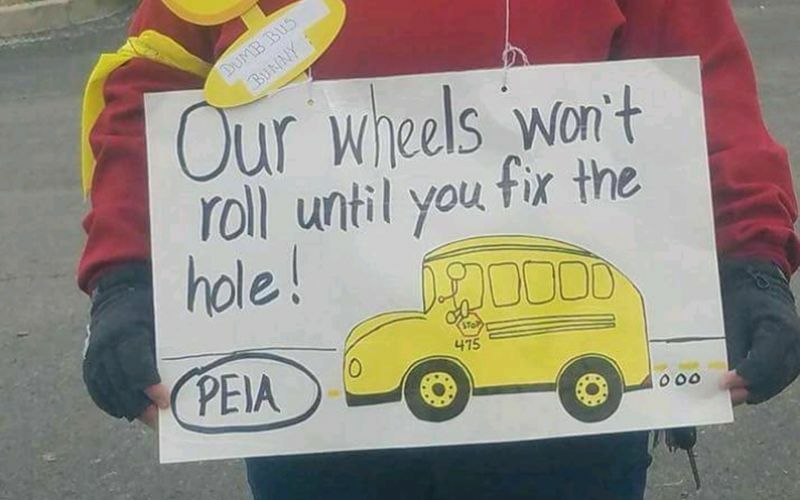 Many, many non-employees were supportive as well, including retired school employees. 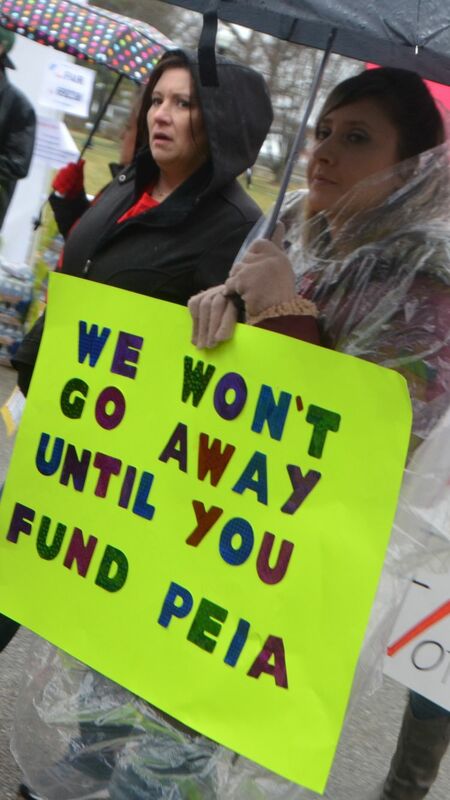 You couldn&apos;t go anywhere in the community without seeing evidence of or hearing about the work stoppage. School employees invest a lot in the upcoming generation, and of course we do it out of love but we still deserve to have decent pay and benefits. However, we hadn&apos;t had a pay raise in many years and the cost and quality of the insurance is atrocious. We provide in many ways for these kids and their families out of our own pockets and hearts. Even as a bus driver I buy jackets, gloves, back packs, books and school supplies every year. I can&apos;t imagine how much the teachers invest in keeping their classrooms stocked with the things kids constantly need. To be clear, not one person I know who works in the schools resents this part of the job. There is no correlation between this and wanting fair pay that keeps up with inflation, but it is often used both as an example to express how we go above and beyond, and at the same time to criticize us. That criticism would never keep us from helping the kids and families we are connected to. 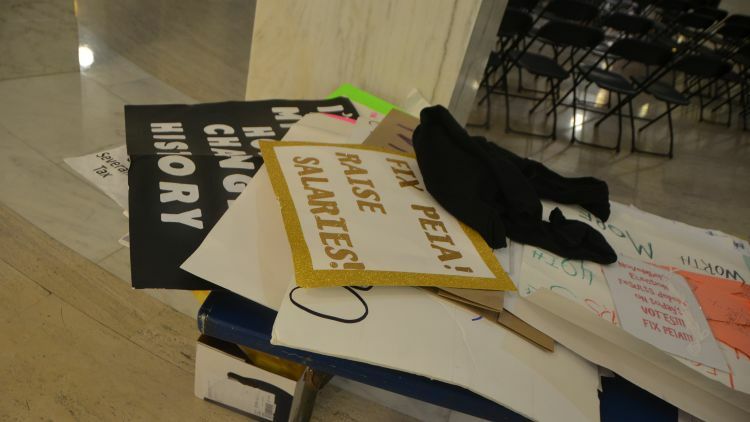 In the end, the unity brought power in numbers and a raise was legislated and voted in. We also received a plan in place to work on the insurance with a committee and promise of improvement. 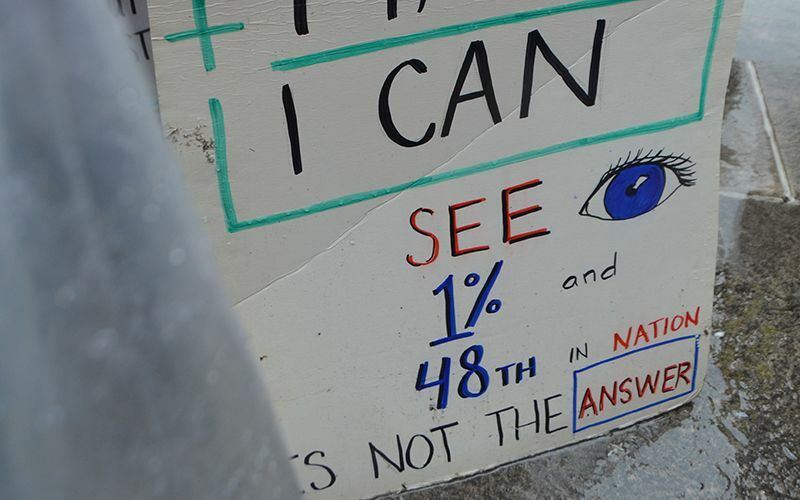 The amazing and creative signs on the picket lines. An incredible video put together by a young teacher who graduated from Berkeley Springs High School in Morgan County. The real time and real life education via living experience both the adults AND kids learned about civics during the stoppage. Driving around town and honking and waving at the picketers. Conversing with anyone and everyone around town about what was going on. If you can help it, don&apos;t strike in February. February is cold. In my memory it rained every day. Striking in February is no fun. I was involved in activism in college as part of a group called the Progressive Student Alliance. So I was willing to strike from the very beginning, but I was not willing to do it on my own. It was a scary thought, striking. We were warned that we would lose pay, maybe lose our jobs, and it would negatively affect the levy. But my experience told me we had to stand up for ourselves, because nobody else would. I was happy when the majority of teachers and staff at our school decided to go on strike too. If you are going to be standing on the strike line in February, wear warm socks. No one can see your shirt once you&apos;ve zipped up your coat, so just wear many layers. Many, many layers. If you arrive at 8:00 and no one is there, wait a little bit. Teachers, and especially retired teachers, don&apos;t want to follow the clock when they don&apos;t have to. 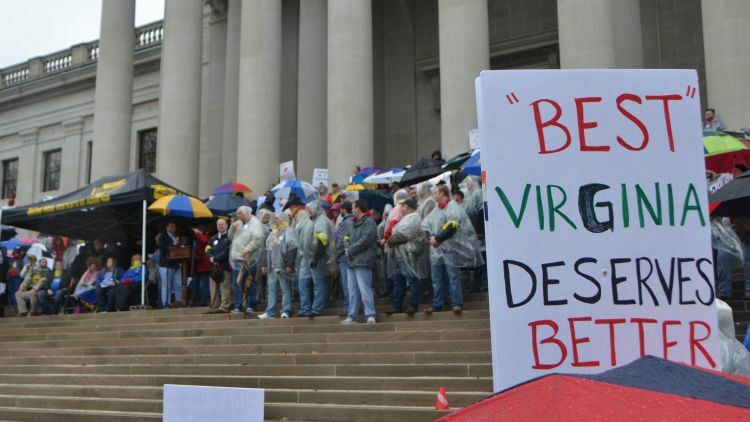 If you are driving by people standing in the rain with signs and you support what the signs say, honk. It you can&apos;t read the signs, honk anyway. Those people are cold, so this must be important. People are nice. They sometimes bring you donuts and cookies. Business people are nice. Especially Tari&apos;s, who brought us hot chocolate; and Fairfax House, who brought us coffee; and Tony&apos;s, who sent us subs; and Lot 12, who sent us ham and potato soup. If someone offers you free coffee in February and you are going to be outside for a while, but you don&apos;t really drink coffee, take it anyway. It&apos;ll keep your hand warm for the next 30 minutes. 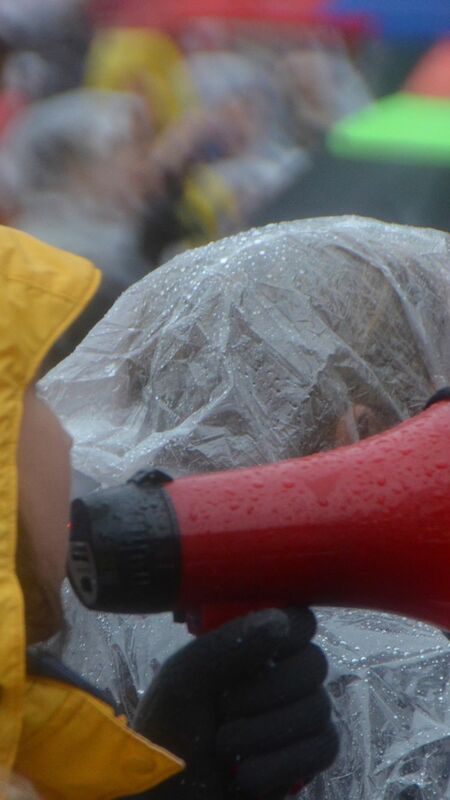 When it starts to rain and you get that feeling that you&apos;d just like to go home now, wait a bit. You can hang in there a little longer. Retired teachers and service personnel are strong! They have stamina. And perspective. They are wonderful to talk to. When someone yells at you from a passing car, "Just be happy you have a job! ", it&apos;ll be 30 minutes before you think of the perfect response. The rain in February is cold. Colder than snow. It seeps in, clear to the bone. I&apos;m still cold. Even Sharpies run in the rain. Sometimes there is nothing better than finding that mini Snickers you stuck in your pocket back at the Math textbook vendors fair. Everybody is scared. Nobody wants to do this. But we are strong when we get together. And if you never stand up for yourself, how can you expect anyone to treat you with respect? ​I didn&apos;t really write much more about the experience because I was too tired. Teaching can wear you out, but striking is a whole different kind of tired. I think because there is that uncertain element - when will this end? will we get paid? will we get fired? The best part about striking, beyond getting what we were asking for, was all that unstructured time with our fellow teachers. We got to know each other better, which is priceless. 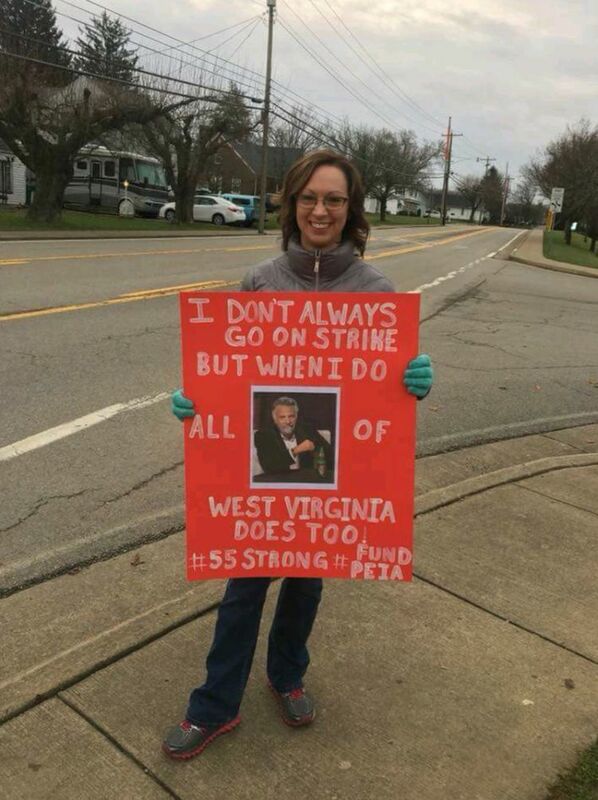 To those in other states who are striking, I would say, "Stay Strong! Hang on until you get what you want." We kept all the schools closed for nine days. It forces the hand of those who can make the change. We made that happen. It is an empowering feeling.